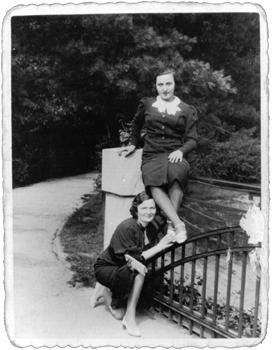 Holocaust Survivors: Photo Gallery - "Stefa Kneeling"
Stefa and Manya Sher pose for their photograph in Czestchowa. Stefa was Polish, and Manya was Jewish. After the war Joseph Sher was dismayed by Stefa's dismissive attitude toward him.